The configuration can be tested by clicking on the "Test" button. 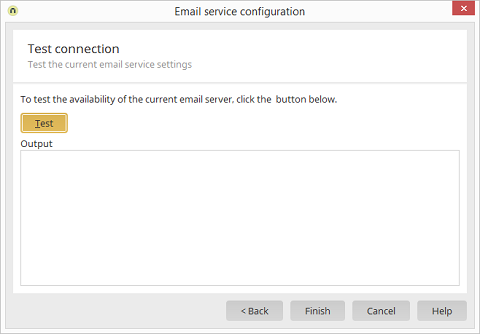 If error messages are output, either the configuration must be changed or there is not a mail server that can be used for the SMTP service. If in doubt, please contact your system administrator.